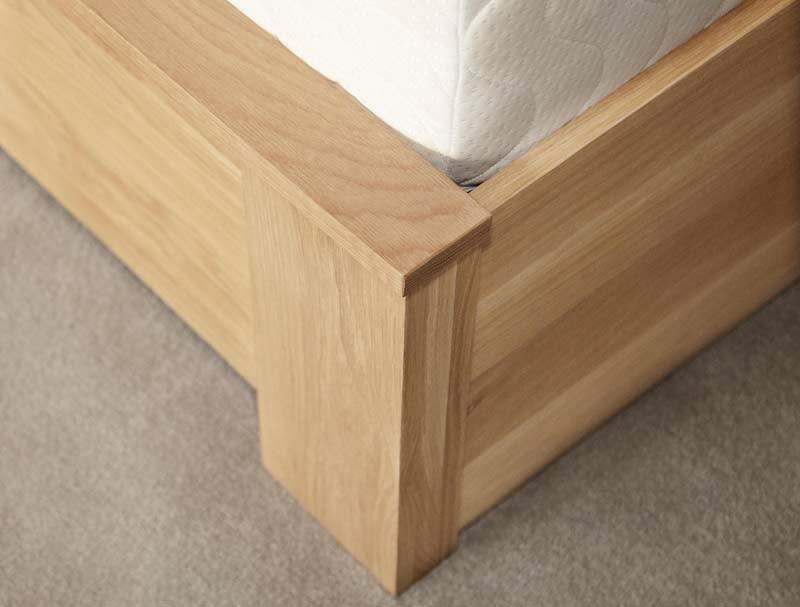 The Charnmouth is new and follows on the success of the Montpelier ottoman bed frame. 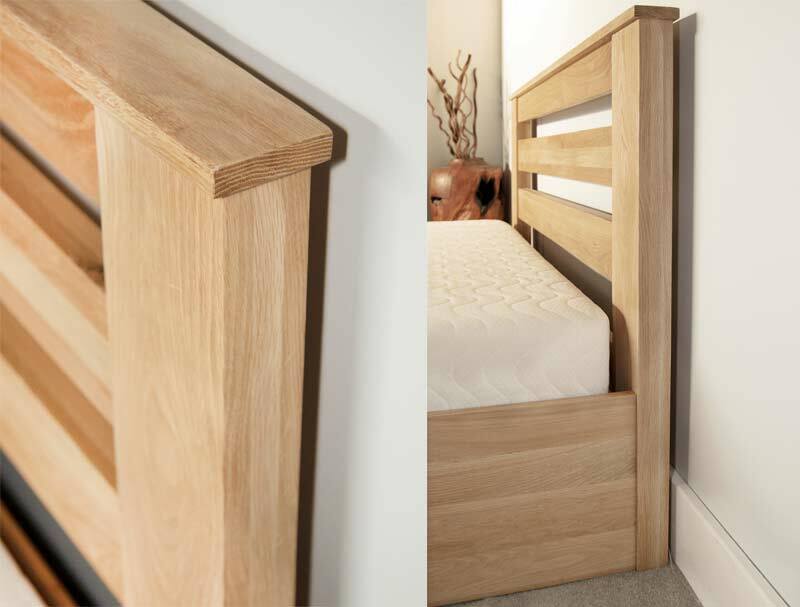 This is a super strong solid American oak lift up storage bed that offers super quality design and comes with a shaker style vertical wooden headboard and a beech sprung slatted base. 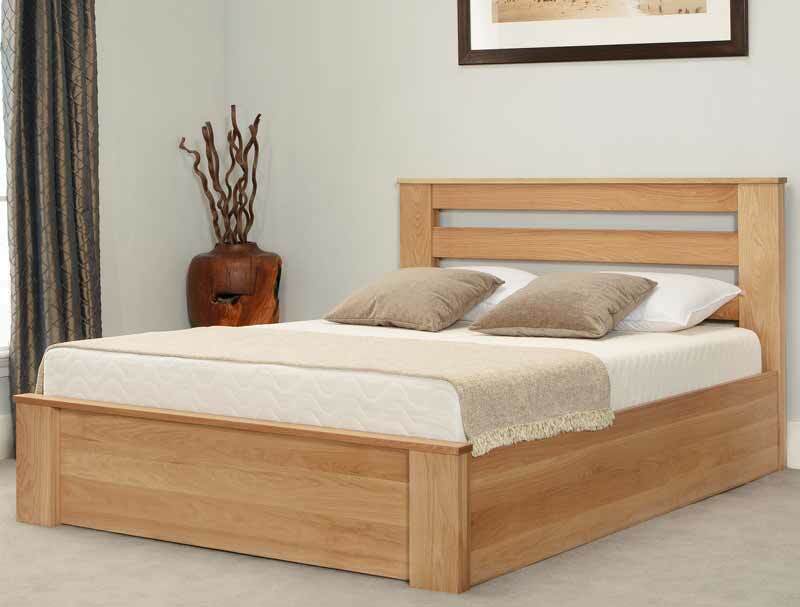 This is all oak apart from the slatted base. The ottoman is available in double, king size and super king size. 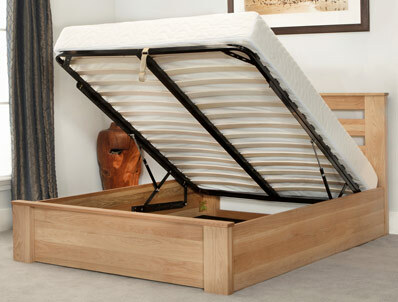 It is extremely well made and very heavy, so is requires a specialist delivery service, normally in 7-10 days. The frame is flat packed for home self assembly in 4 boxes and delivered direct from the importer by a specialist courier who will contact you to arrange delivery to your area .